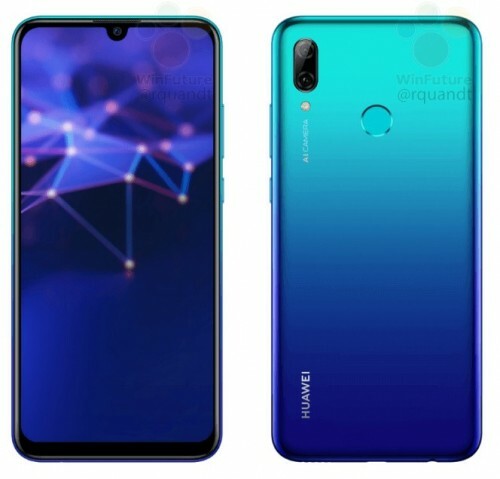 The Huawei P Smart (2019) is the latest budget offering coming from Huawei very soon and the latest leak to arrive is a benchmark that reveals the phone is indeed running the latest version of Android. 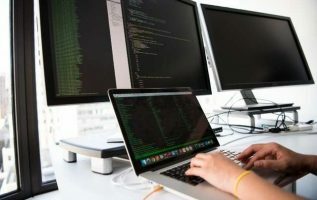 Previously, it was revealed by FCC documents that the P Smart would run 3GB of RAM but other variants outside of the US could see versions with 4GB of RAM. 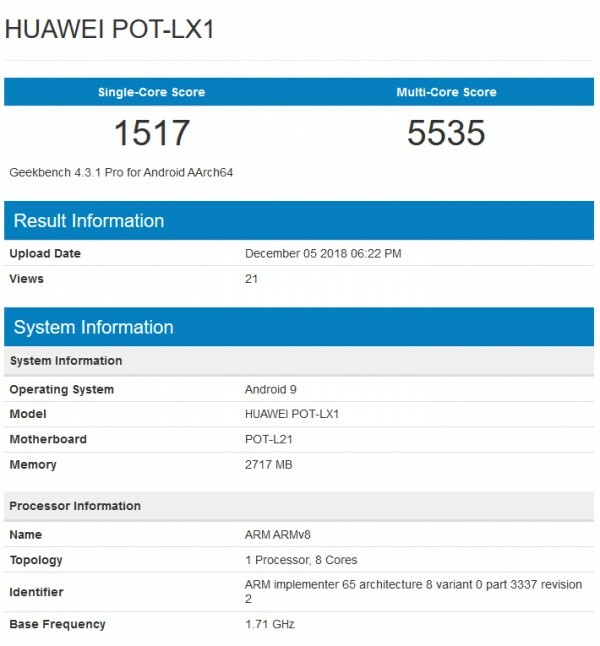 The scores seen on GeekBench are right in line with other devices running Huawei’s entry-level Kirin 710 CPU. These scores put the octa-core chip somewhere between the Qualcomm Snapdragon 636 and the Snapdragon 660. Otherwise, we’re seeing the listing show a model number of POT-LX1, which is one digit off the model number we’ve seen go through the FCC (POT-LX3), this digit signifies a regional variant. Based on the previous FCC filing, the P Smart will have a 3,320 mAh battery, 32GB or 64GB of storage, and dual SIM variants. A drawing from the document has the phone’s footprint sitting at 155.2 x 73.4 mm and a single dew-drop notch for the front facing camera. The drawing also reveals a dual camera and rear-mounted fingerprint sensor on back. The cameras are expected to be similar to those on the Honor 10 Lite: a 13MP + 2MP combo on back with a 24MP sensor in front. This hasn’t been confirmed so the actual device might have a slightly different setup if not the same one. The phone is slated to be priced at around 200 EU. Huawei’s announcement of this phone is probably not far away. If history is anything to go by, it looks like Huawei might announce the phone in China this month or around the same time as CES (which kicks off on January 6), which is when Huawei usually announces both Honor and Huawei-branded devices for the US and European markets.